Give your home network a speed boost. Some of the fastest performing wireless routers can cost $300 or more these days. That's a tough pill to swallow. It's also why we're always on the lookout for router deals, and right now you can grab a TP-Link Archer AC3150 dual-band model for $150. The Archer AC3150 offers up to 1,000Mbps on the 2.4GHz band and up to 2,167Mbps over 5GHz. That's a combined bandwidth of 3,167MHz, which Archer interestingly rounds down to advertise as AC3150 (router makers tend to round up). This isn't the fastest router out there, but for the money, the specs are very good. It's powered by a 1.4GHz dual-core processor with co-processors dedicated to each Wi-Fi band, a technology known as XStream processing. It also features MU-MIMO technology and dynamic Smart Connect technology that automatically selects the best band for each device. 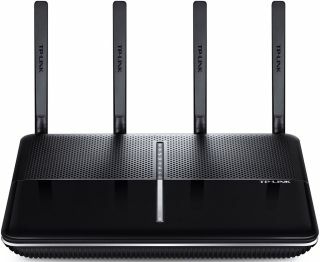 TP-Link claims its four dual-band antennas can serve up "strong Wi-Fi" for up to 10,000 square feet. For wired connections, there's the typical built-in four-port switch. It also has a USB 2.0 port and a USB 3.0 port for connecting external storage drives, printers, and so forth. You can grab the router on sale at Amazon or Newegg.